Simon Says Create A Scene! 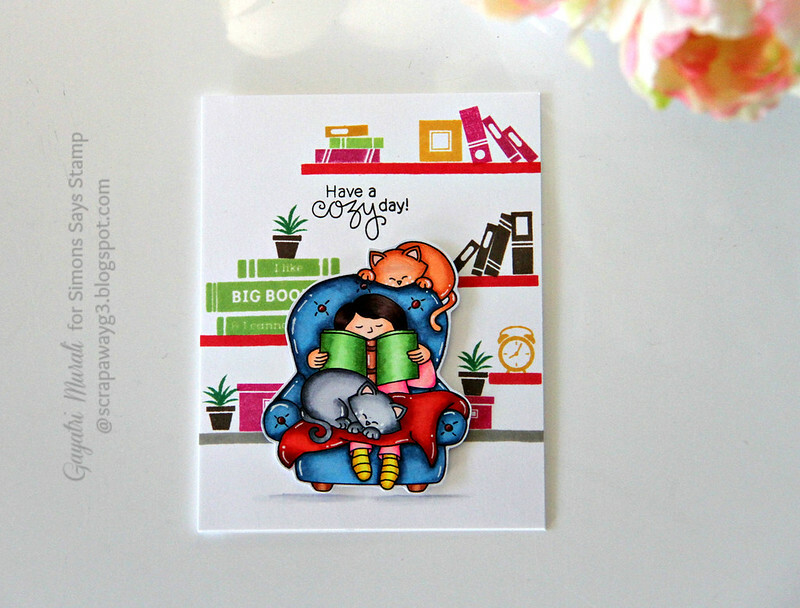 I have combined Newton’s Nook A Cozy Day stamp set with Simon Says Stamp’s To Thine Own Shelf stamp set to create s scene on my card. 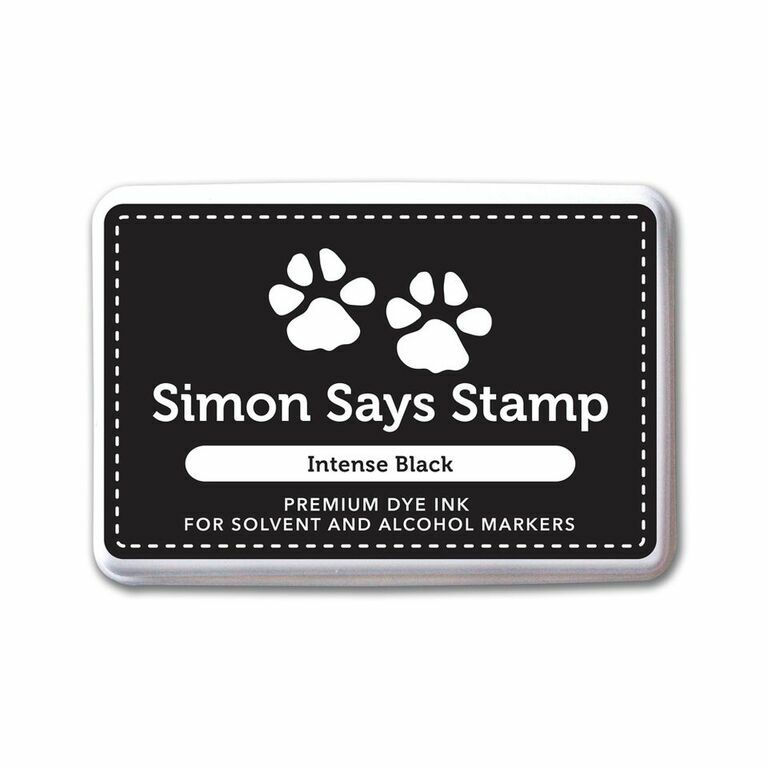 I stamped the image from Newton’s Nook stamp set using Simon Says Stamp Intense Black Ink and copic coloured the image. Then I hand cut the image out. 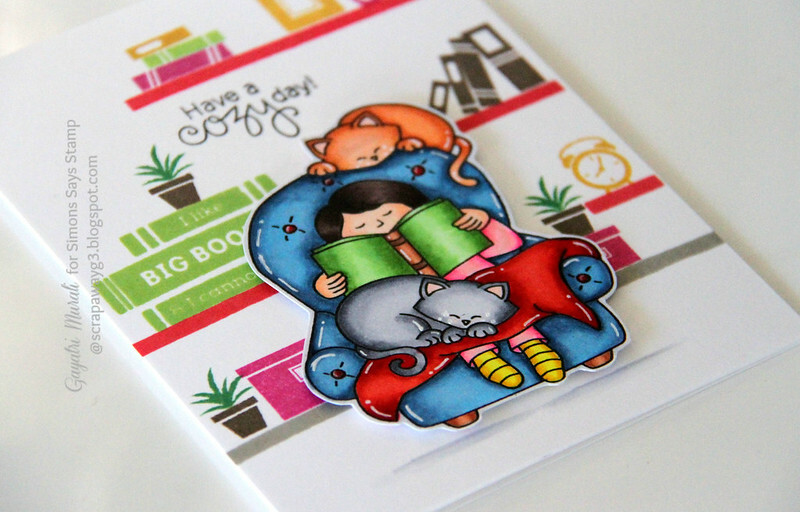 On the card front, I stamped the shelves and filled them with books, clock and boxes. I stamped them using Simon Says Stamp Hot Lips, Doll Pink, Jelly Bean, Sunshine, Fern and Stone dye inks. I used Cup O Joe Hero Arts Ink for the some of the books and pots. I used MISTI tool to stamp my images. I adhered the hand cut copic colored image on the bottom centre of the card front using foam adhesive. Then grounded the sofa using Copic markers in Cool Grey. The sentiment is from the Newton’s Nook stamp set stamped using Simon Says Stamp Intense Black ink. Oh, Gayatri! What a fabulous scene, and I absolutely love the sweet room you've created for this little person and kitties to enjoy while reading! Your coloring is fabulous, and I love it all! This card is so adorable! Hugs! 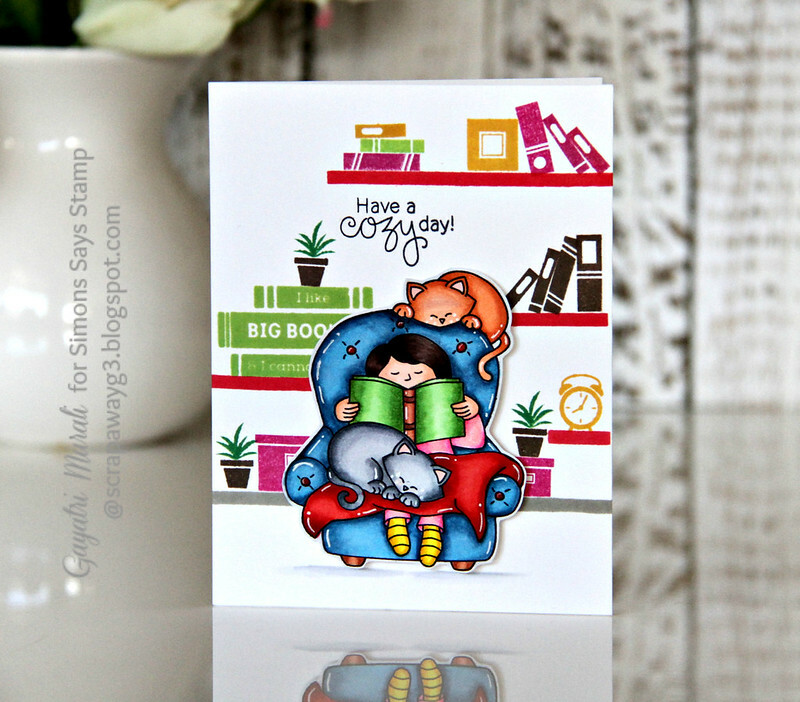 Oh what a brilliant card, love the bookshelf background perfect for the main image. 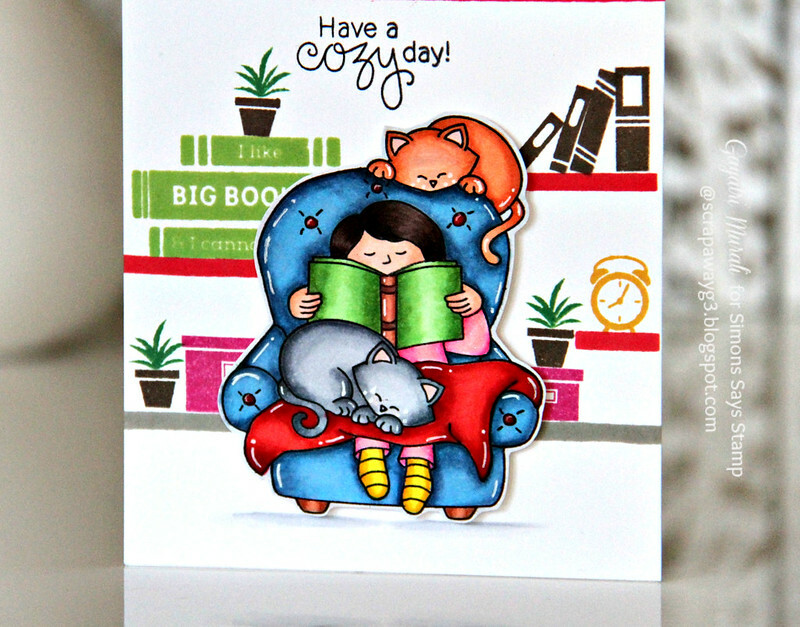 Cats and books – what more do you need? 🙂 I love this card! You did a wonderful job of combining these two stamp sets into a scene. This is so cute! I love the library you created for the girl and her kitties to hang out in. The bright colors are so fun!